jonnybaker: rewilding - yes please! i had not come across the term rewilding but instantly like it. the word originally (it’s only 3 years old in dictionary terms) meant putting captive animals in to the wild, then expanded to mean the reintroduction of animal and plant species into the natural world, into habitats from which they have been removed. i remember my excitement in seeing an osprey in scotland for example. but like any good metaphor it’s laced with ambiguity and possibility. so george monbiot pushes it in a couple of directions - one is that he is not interested in returning to a former state, rather to create the space for the complex ecosystems to be able to thrive and flourish alongside modern life. and secondly to see the rewilding of human life through re-involvment in nature - we need rewilding because we have become so cut off from the wonder of the world we inhabit. if you google it you'll see how much is going on to rewild europe for example. he describes canoeing at sea, exploring forests, the wonders of diversity and being able to walk and be lost in natural environments for whole days - it reminded me of the experience of silence in places. it’s also very well researched and packed with idea and examples of how this should and could and is being done. it’s an extremely interesting and educational book. there is so much new information on what enables flourishing and it is very counter to a lot of preservation practices. it is a book of imagination, ecological imagination. as a christian my hope for the future is for the healing of all things, the renewal of the earth. some of the things described in the book are visibly the renewal of the earth! so for example there are projects in wales (if you are in wales you need to read the extraordinary chapter on greening the desert - isaiah 35’s vision is imagined for the cambrian mountains) and scotland to fence out deer and sheep both of whom are a disaster for the land in their own way or certainly in too great numbers and begin to regrow forests and create trophic diversity. these projects are only 20 years in but the transformations taking place are remarkable. i found it amazing that one of the people monbiot meets sees what he is doing as a 250 year vision. one of the processes that is undertaken is to drill into the earth and take out a core and to see what pollens are in the soil in different times. what is barren in places was once more like rainforest. europe was home to wolves, bears, rhinos and elephants even. there is no reason why it can’t live again in this way as these projects and others in europe and america are showing. but what monbiot and these others have in abundance is the ability to dream and imagine that other wonder filled, wild worlds are possible. cultures suffer from shifting baseline syndrome which is to say that we all perceive that the ecosytems of our childhood are what’s normal but that may be a state of depletion - we need the imagination to shift the baseline. i love this idea... monbiot has a fantastic table of creatures and their suitability for reintroduction on a scale of 1-10 including pelicans, grey whales, beavers, boar, wolves. before you write this off this is deadly serious and such experiments are taking place very successfully elsewhere. he has a whole chapter on the wolf and how predators high up the food chain can create a very positive impact. The drive towards monoculture causes a dewilding, of both places and people. It strips the earth of the diversity of life and natural structure to which human beings are drawn. It creates a dull world, a flat world, a wirld lacking in colour and variety, which enhances ecological boredom, narrows the scope of our lives, limits the range of our engagement with nature, pushes us towards a monoculture of the spirit. I doubt that anyone wants this to happen to the land that surrounds them except those - a small number - who make money this way. this got me thinking about how easily it sounds like a description of theologies and church which tend towards monocultures of the spirit rather than opening up the riches of diversity. people like their stream, their denomination, their theology, their truth, their take, their worship, their taste and drift towards defending it - yet floursihing of the spirit takes place through the riches of diversity - the church needs rewilding along with the natural world, children and human life. i could go on but that probably gives you a flavour. monbiot’s story is so compelling because it is also a personal testimony of a recovery of a sense of adventure, wonder and excitement in his own life through his own explorations. he recovers ecological hope. By seeking the pockets of land and water that might inspire and guide an attempt to revive the natural world I had revived my own life. Rewilding the Church .....love it! I'll second that. 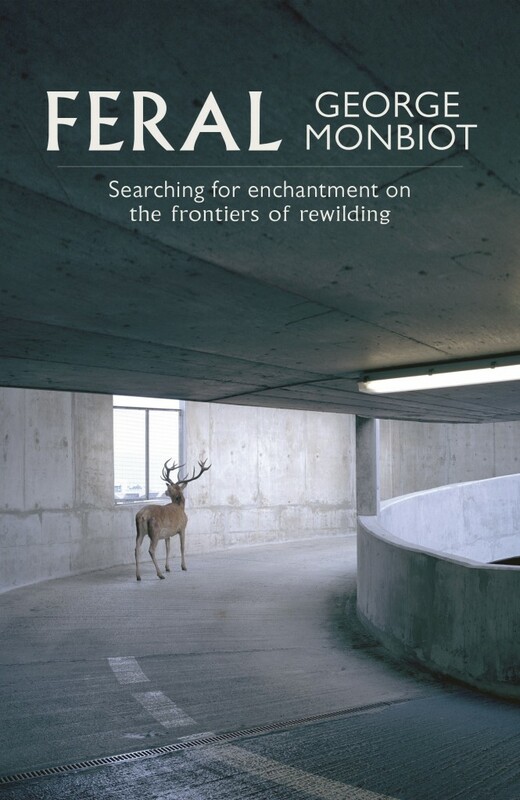 Feral is my favourite book of the year so far too, and I found it deeply spiritual in its celebration of creation, and vision for the flourishing of the natural world. Rewilding is a human echo of God's original invitation to his creation - 'Let the earth burst forth'.